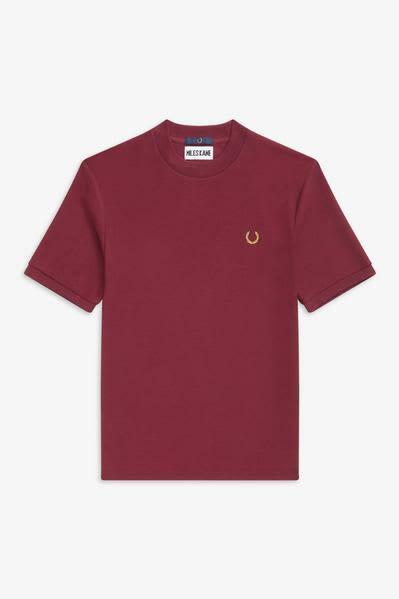 Made in a textured honeycomb piqué, the Miles Kane T-shirt has a boxy fit and high crew neck. Finished with a gold 30-leaf Laurel Wreath. Honeycomb-textured cotton piqué. Boxy silhouette. High crew neck, ribbed cuffs and neck.